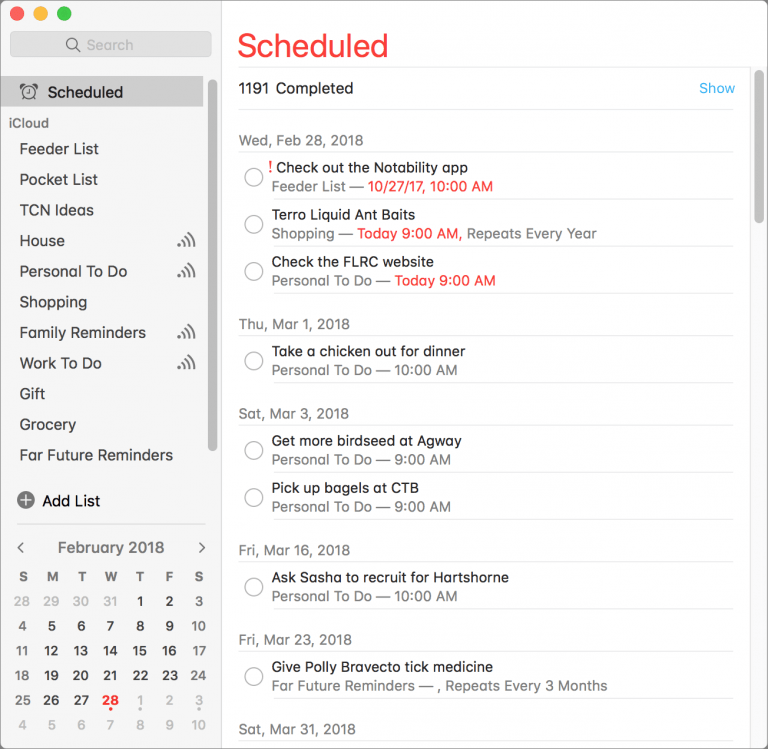 By default, Reminders is a single-window app with a sidebar that shows all your lists. 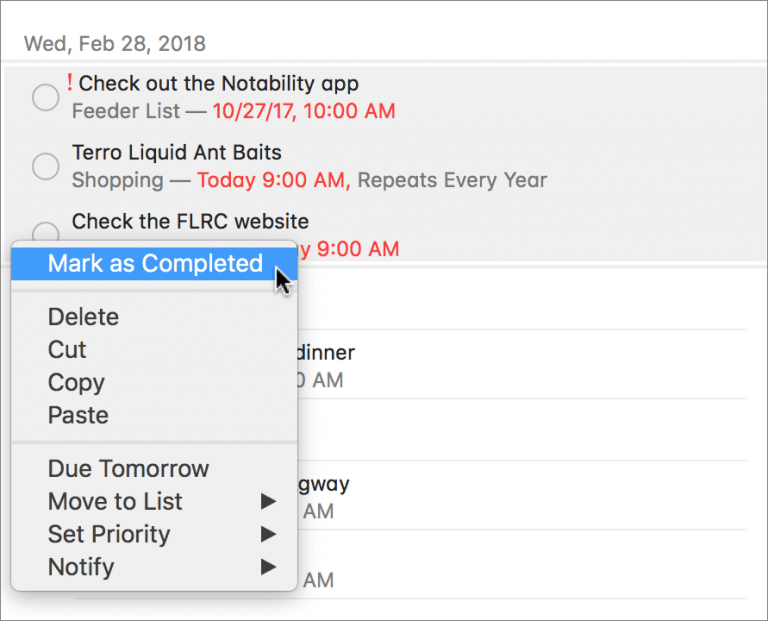 You can hide the sidebar to focus on a single list at a time, at which point you navigate between lists by clicking the dots at the bottom of the screen or swiping on a trackpad. But what if you want to see multiple lists at once? You can open any list in its own window by double-clicking it in the sidebar or by choosing Window > Open List in New Window. Resize and position that window as you like. Reminders even remembers which lists you had open if you quit and relaunch (and if it doesn’t, deselect the “Close windows when quitting an app” checkbox in System Preferences > General).